Getting you back to everyday living with the help of chiropractic care! Do you find everyday activities a real struggle? Are you in constant pain at work or when playing with your kids? 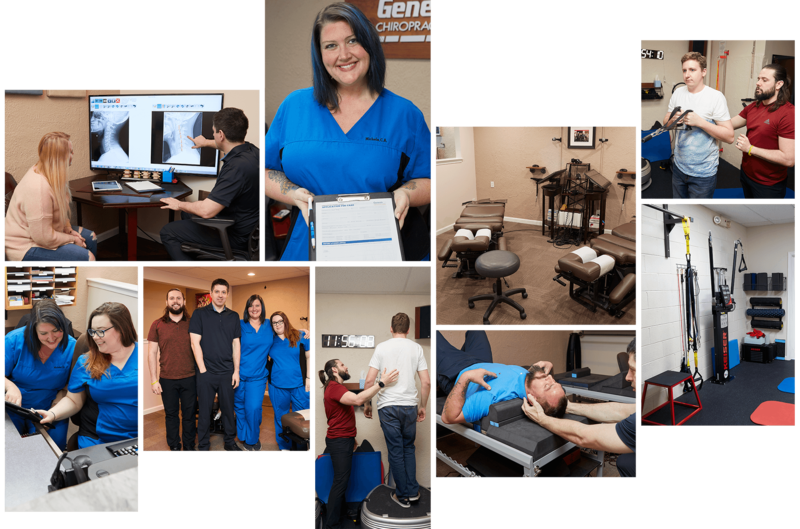 At Genesis Chiropractic Clinic, we provide natural, modern spinal alignment and postural treatment to relieve you from your pain. 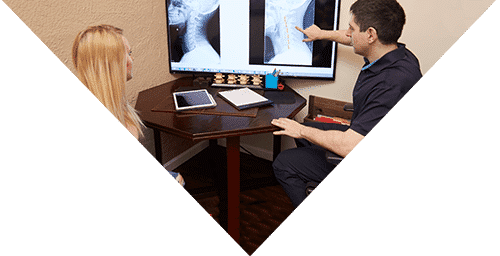 Our warm and friendly office is fully equipped with innovative technology and unique programs designed by our chiropractor to gently realign your body – without medication or surgery. You can get back to living your day-to-day life without any discomfort or frustration. Restoring functional movement with a new chiropractic approach. Dr. Gene Fish has personally experienced severe neck pain and the struggles of rehabilitation. He was very dissatisfied with the care he received so set out on a mission to provide excellent chiropractic care to his patients. 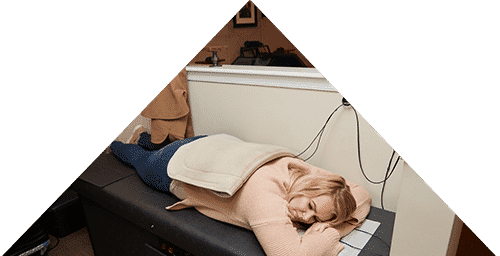 This has involved combining the latest diagnostic and realigning technology with a BioPhysics approach to chiropractic care. BioPhysics combines innovative techniques, expert education, and on-going exercises to align your spine, nervous system, and improve your posture. Through proper diagnosis and investigation, Dr. Fish is able to identify the root cause of your pain. There is no guesswork as he uses special motion x-rays and his advanced training to locate the origin of your discomfort. Once he has gathered all the relevant information he can gently and accurately provide effective chiropractic pain relief. We want you to not only feel the wonderful results of corrective care but also see them. Our team, therefore, uses images, x-rays, and modern equipment to show you your progress. During your course of treatment, we constantly track and measure results to ensure you are making good sustainable progress and seeing improvements in your range of movement. As your health partners, we openly discuss these results and create plans to further help you recover. Instead of treating symptoms we treat the source. Resolving problems without intrusive surgery. Treatment plans based on your individual needs. 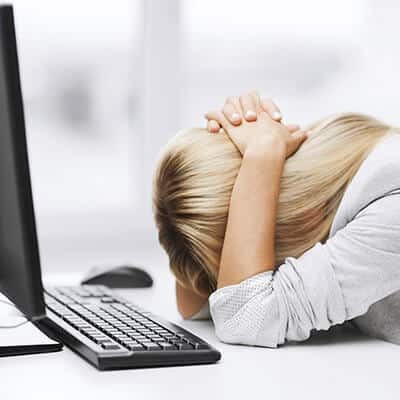 It is only natural to become frustrated when everyday activities feel like a struggle or induce pain. Do you feel back pain when you take out the trash? Is your neck sore from working on the computer all day? Are finding it hard to concentrate at work? These could be signs of spinal or postural misalignment, which may lead to more severe injuries if left untreated. 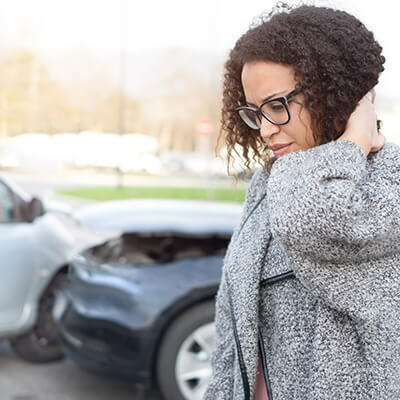 Perhaps you have been involved in an auto accident or have fallen while playing sports, and are now feeling the effects of a back or neck injury. Your doctor may have given you medication or referred you to a surgeon. But hold on! What if Dr. Fish could provide permanent relief without you going under the knife? At Genesis Chiropractic Clinic, we help you get relief from pain, regain your strength, and get long-lasting results. 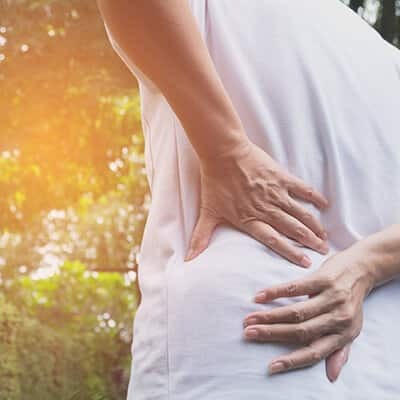 Our skilled chiropractor in Horsham / Warrington PA finds the cause of your problem and can often find a fix without pain meds or invasive surgery. Rather, he uses more conservative spinal and postural realignment techniques, exercises, and a team whose sole aim is to restore your health. 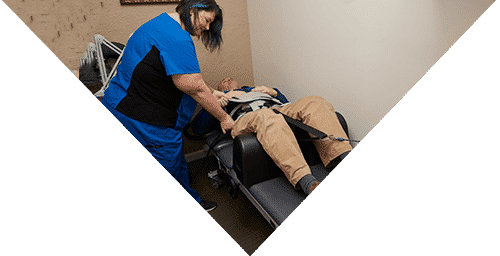 Our team has years of experience helping people realign, strengthen, and find their body balance, which leads to the removal of pain and a healthier life. Find out if Dr. Gene Fish can help you today! "I've been in your shoes and am here to help." Several years ago our very own Dr. Fish found himself bed-ridden for 14 months due to severe neck problems. He was passed around from consultant to surgeon and become disillusioned with the care he received. By his own admission, he started to lose hope…..
With his team by his side, Dr. Fish has developed a successful clinic where amazing results are the norm. 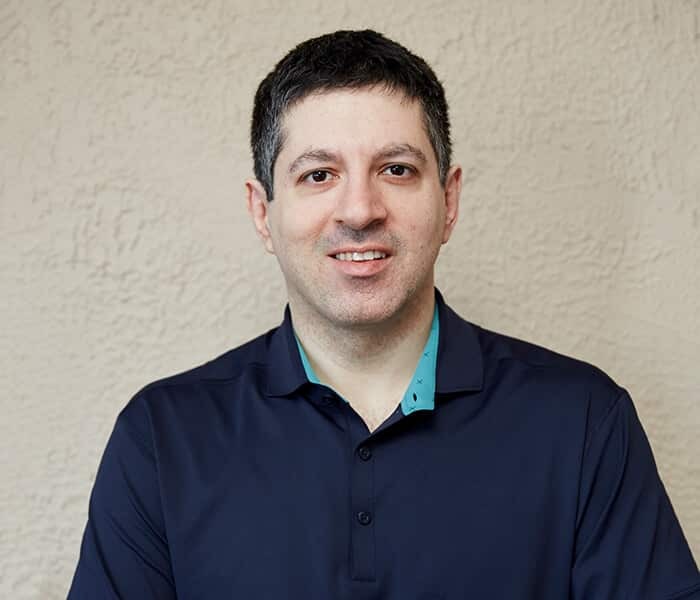 He has teamed up with a leading personal trainer to create unique rehab plans that focus on preventing future issues, as well as solving your current problems. The office staff is extremely friendly and greets you by name. The office is modern and leverages technology in order to run the office more efficiently and to provide the best care to the patients. I appreciate how Dr. Fish took a number of x-rays and then patiently explained them to me during a consultation visit where I did not feel rushed and was able to ask a number of questions. I have been coming to Dr. Fish for many years and I can say they are consistently THE BEST. The staff is very friendly and very accommodating. They will always make time for you if you have a busy lifestyle like I do. I’m a very active person with lower back pain. I was at first resistant to going to a chiropractor but a friend recommended that I give Genesis Chiropractic clinic a try. Needless to say, I had great results because I’m able to run a 5k, take spinning classes, and go to the gym three times a week because Dr. Fish keeps me healthy. One of the best! The staff members are super friendly and caring when it comes to getting what you need or want doing! Dr. Fish does a great job of finding out what the problem is and does what is best to fix it! I haven’t felt this good since I’ve become a patient! I would definitely recommend Genesis Chiropractic to anyone who needs a chiropractor. This practice is awesome in so many ways! Everyone is soooo caring and focused on the clients. Dr Fish identifies the health issue and corrects it. Then he and his staff aid in prevention of future issues by physical therapy and posture correction. They taught my how to keep correct posture during work to keep me healthy and pain-free. They gave me elastic bands to take home and use several times a week to keep specific muscles strong. These bands helped sooo much as did all the other exercises they taught me. This office is SUPER easy to make appointments at (I am always late and they still like me-they are very patient with me). I recommend this Chiropractor to everyone! Thank you Dr Fish and Staff for making me feel better!!! I was dealing with constant lower back pain for years and have been to many chiropractors who were not able to help. Once I started going to Genesis my back pain subsided within just a few visits!! The staff is incredibly friendly and I always look forward to my appointments! I recommend Genesis to anyone looking for the best chiropractor in the area! Take the first step to pain relief! Enjoy the convenience of flexible scheduling and downloadable new patient forms. Includes exam and x-rays. ($275 value. Limited time offer). Let’s get you feeling like yourself again! Looking to find a chiropractor near you? We have been Proudly serving Horsham, Warrington, Warminster, Hatboro, and the surrounding areas in Pennsylvania since 2001. 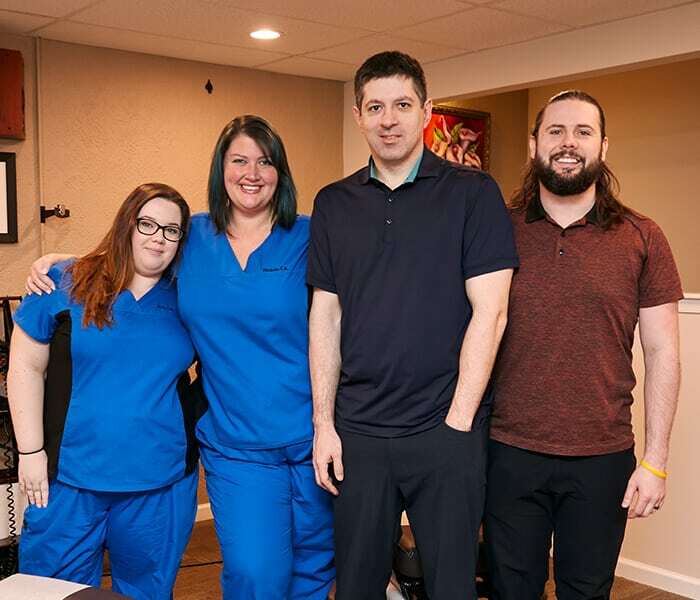 Our clinic is conveniently located on the corner of Route 611 (Easton Road) and County Line Road in Horsham, PA. We are in a red brick building on the same corner as the Navy Base. Many of our patients are from nearby Chalfont, North Wales, and Ambler as we are only a few minutes away from there. For our patients traveling from Philadelphia, Genesis Chiropractic Clinic is located only 3 miles north of the PA Turnpike (I-276) at the Willow Grove Exit (Exit 343). We are also only 6 miles south of Doylestown and right near Maple Glen.